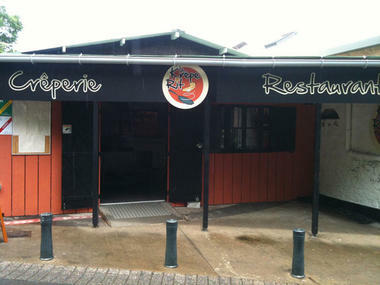 La "Krêpe Rit" located in the heart of the craft village of l'Eperon offers crepes, pancakes, salads, dishes of the day, ice creams and totally home made desserts. 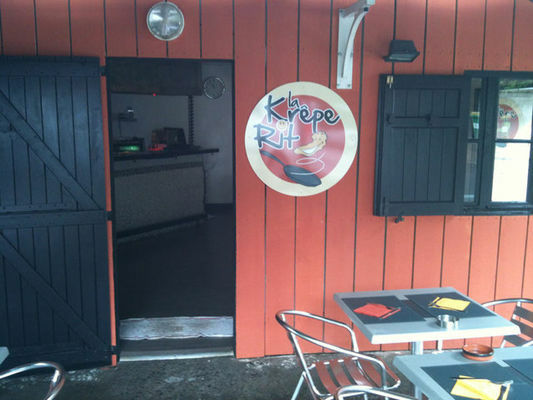 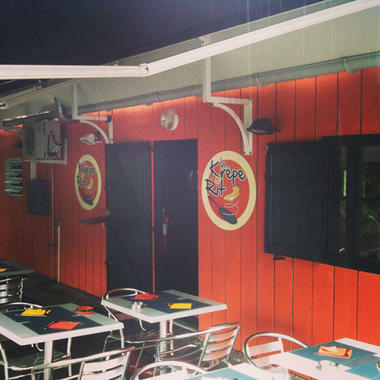 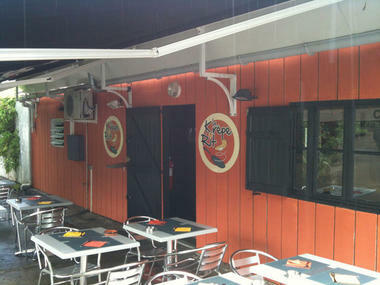 La "Krêpe Rit" has a shaded terrace and a air-conditioned room in a pleasant décor and a relaxed atmosphere. It is opened from Monday to Saturday from 11 a.m to 2.30 p.m and from Friday to Saturday night from 7 p.m to 10 p.m.
Off the beaten track of the seaside resort Saint-Gilles -les- Bains,after having visited the local craftsmen, the "Krêpe Rit" offers you a relaxing and pleasant time, while having your meal. 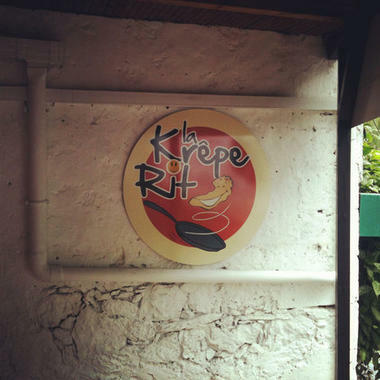 Environment / Access : At the exit from the craft Village of Eperon, go up the road and go past the square of the craft Village.The "Krêpe Rit" is 20 metres along on the right.